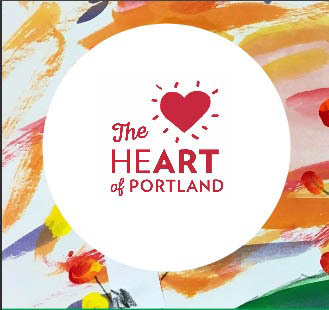 Portland Public Schools hosts the second annual The HEART of Portland: A Portland Public Schools K-12 Arts Showcase that will kickoff on Monday, April 4th at the Portland Art Museum Mark Building. As a thank you to taxpayers for their support of the Arts Tax, this year’s event is an open reception featuring a robust, district-wide visual arts exhibit and student performances. The evening will begin with opening remarks by Superintendent Carole Smith, City Commissioner Amanda Fritz and Portland Art Museum Executive Director Brian Ferriso. As the night progresses, witness performances by the Rosa Parks strings program, the Cleveland & Roosevelt High School jazz bands and several more. Walk through our 80-piece visual arts exhibit and participate in our live, interactive art project. The event is free and open to the public. Please join us in celebrating arts education in Portland and the students and teachers who are at the center of this work. We hope to see you there! No registration required. Mon 10 a.m. – 5 p.m. This event was made possible through the generous support from the Portland Art Museum, OnPoint Community Credit Union and Artslandia Magazine.